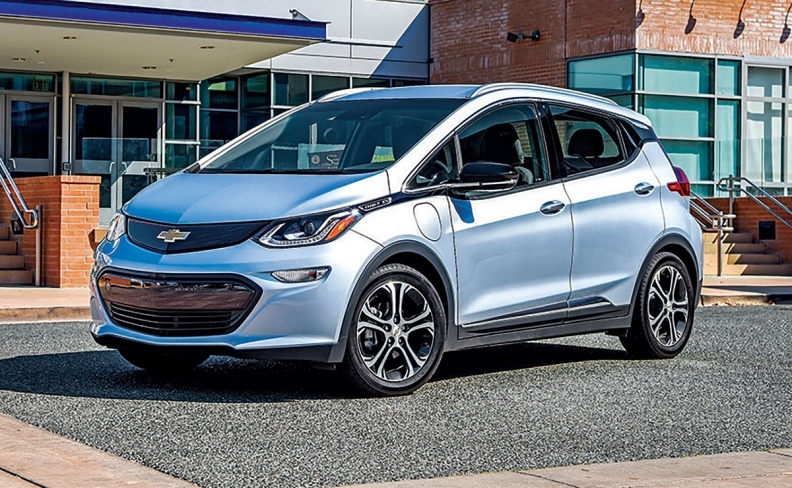 Over the next 18 months, GM plans to add two new all-electric vehicles based off lessons from the Chevrolet Bolt EV (pictured). DETROIT -- General Motors is driving toward an emissions-free future. But it's not giving up on gasoline-powered vehicles. Ken Kelzer, GM's vice president of global vehicle components and subsystems, said governments around the world are determining how quickly the industry adopts electrified powertrains and that there's no absolute time frame for when gas engines could go extinct. "It's not like we're leaving internal combustion engines behind -- we're working on both," Kelzer said in a keynote address to the SAE International WCX World Congress Experience here Tuesday. "Depending on what's going to happen with government regulation and consumer acceptance, that's when we're going to find out. "Everyone in the industry is working to make internal combustion engines more efficient." GM has said it believes in a zero-emission, zero-crash and zero-congestion future, and it is developing both battery electric and fuel cell electric powertrains. Over the next 18 months, Kelzer said, the company will add two new all-electric vehicles based off lessons from the Chevrolet Bolt EV. The automaker plans at least 20 new all-electric vehicles by 2023. Last year, it debuted the Chevy Colorado ZH2 fuel cell pickup that's currently being evaluated by the Army. It also showed a fuel cell four-wheel concept vehicle on a heavy-duty truck frame called SURUS. It plans to begin production of a fuel cell stack co-developed with Honda in 2020. On the zero-emission side, Kelzer said GM is taking the two-pronged approach of investing in fuel cell and battery electric to ensure it doesn't miss out on any technological breakthroughs. "We're placing a bet on hydrogen, electrification, and we're still placing a bet on internal combustion," he said. "I think it's very dangerous to say you're all-in on one or the other. You've got to play all the cards." Kelzer called for industry standardization on electrification and autonomous vehicle technology, and he said organizations such as SAE can play a role. One example, he said, was SAE's adoption of a single 240-volt charging connector. "In fact, the majority of the industry has embraced this standard, meaning customers don't need to carry different plug cords to charge their vehicle," he said. "Imagine if we all created our own size fuel filter what that would have done to the customer base." The same holds true for self-driving vehicles, Kelzer said. Governments and local municipalities will look to organizations such as SAE to help drive standards as technologies are developed. "As we are all working collectively toward autonomous vehicles," he said, "this will be one of the most pronounced things SAE can do for the future of the industry."